While there are many non-drug therapies that can help relieve symptoms of restless legs syndrome (RLS), medications may be an important part of the treatment strategy for individuals experiencing frequent or severe symptoms. 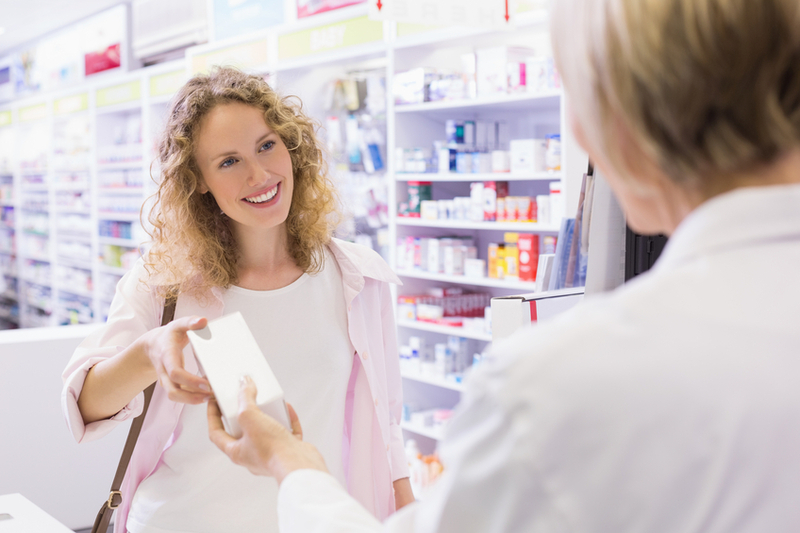 If you need to take medication, your physician will work with you through careful trials to find a drug and dosage that works best to manage your symptoms. 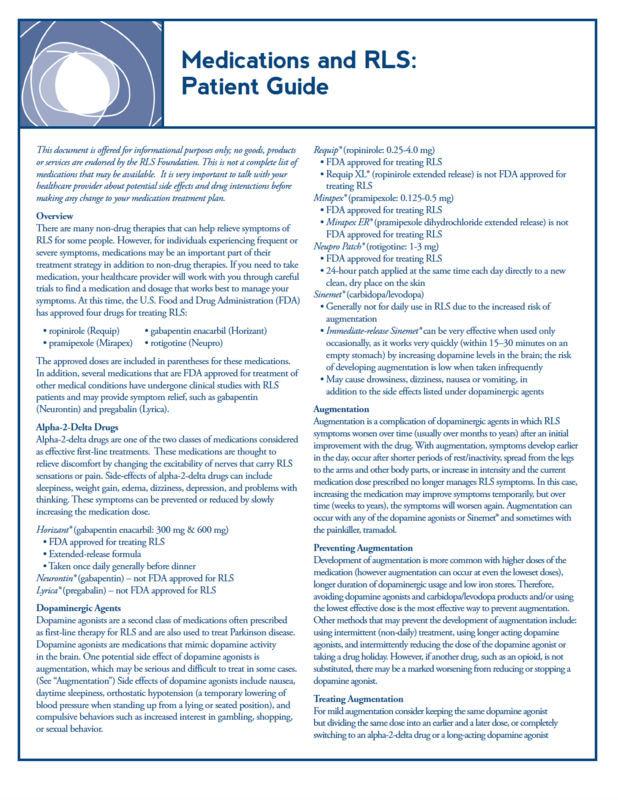 In addition, several drugs approved for treatment of other medical conditions have undergone clinical studies with RLS patients and provide symptom relief when used “off label.” Off label use is the prescribing of approved medications that show success in treating another medical condition other than its intended use, a practice permitted by FDA regulations. For more information, we recommend reading a few of our publications available to Foundation Members. Become a member today to view. You will also receive the latest news on advances and treatments, all while supporting research toward a cure. 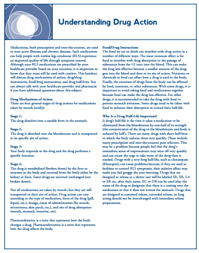 Inside: Answers to commonly asked questions about medication options available to individuals with RLS. Augmentation is defined as a worsening of RLS symptoms that occurs after starting a medication to treat RLS. 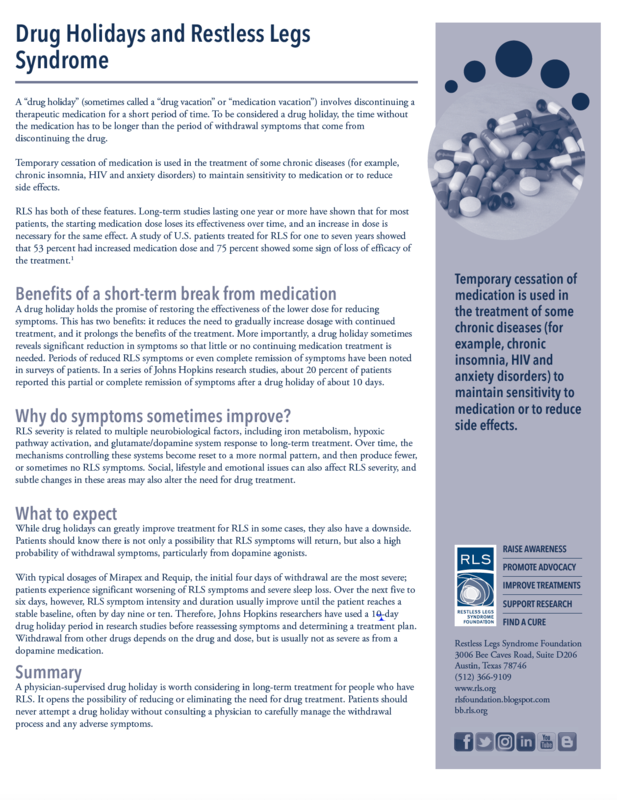 The medication is effective when it is first started, but over time symptoms worsen with continued use of the medication. It is one of the most common but least understood problems encountered in the treatment of RLS. 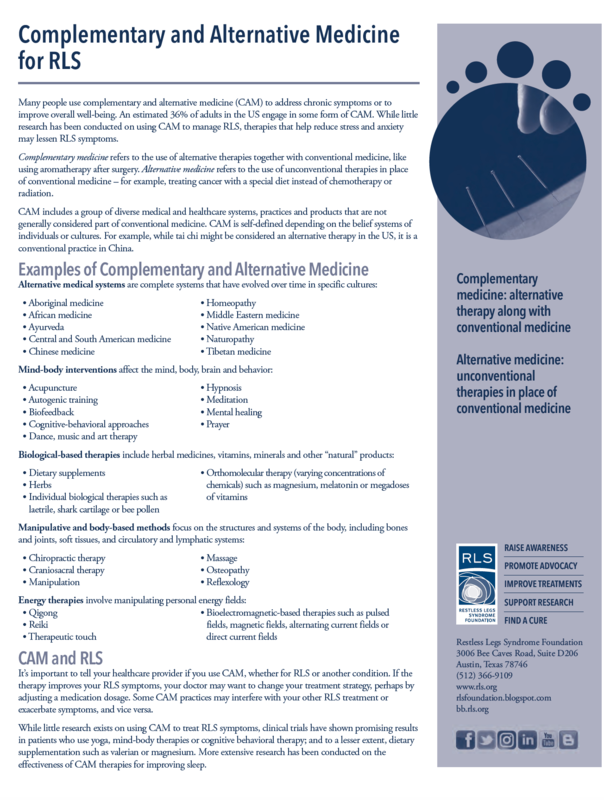 If augmentation occurs, you and your doctor can work together to find a new medication strategy that will work for you. Be sure to talk with your doctor before making changes to your regimen.